Shoes! 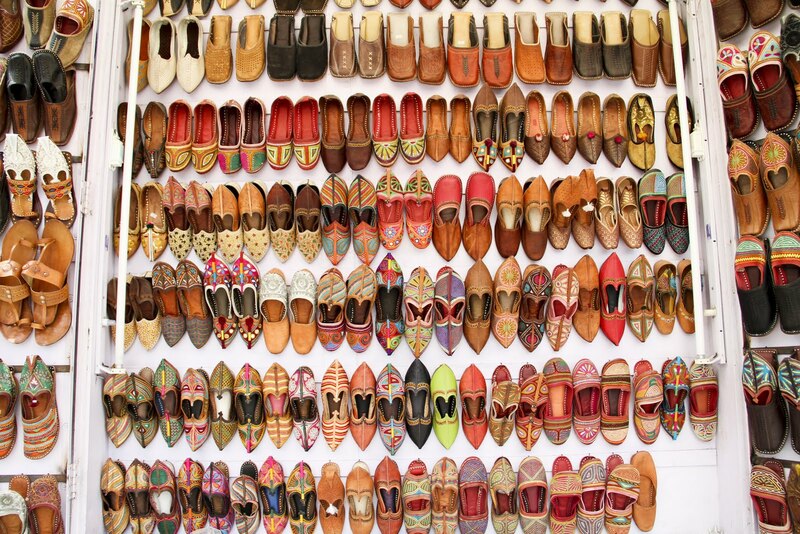 Glorious shoes, everywhere! I've now decided that Jodhpur is my new favorite Indian city. 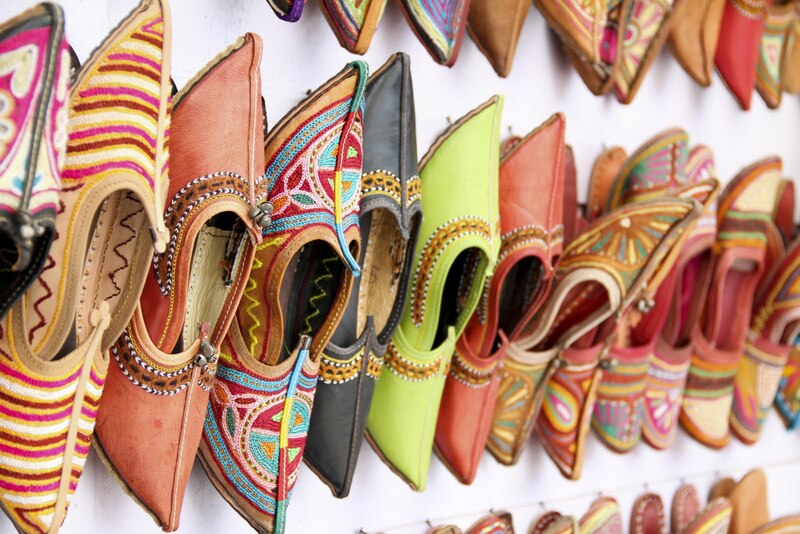 I came across this (thankfully unmanned - and therefore devoid of pushy sales person) stall tucked away at the far end of Tambaku Bazaar, crammed full of line after line of colour-saturated, finely embroidered camel leather jutti and mojaris. 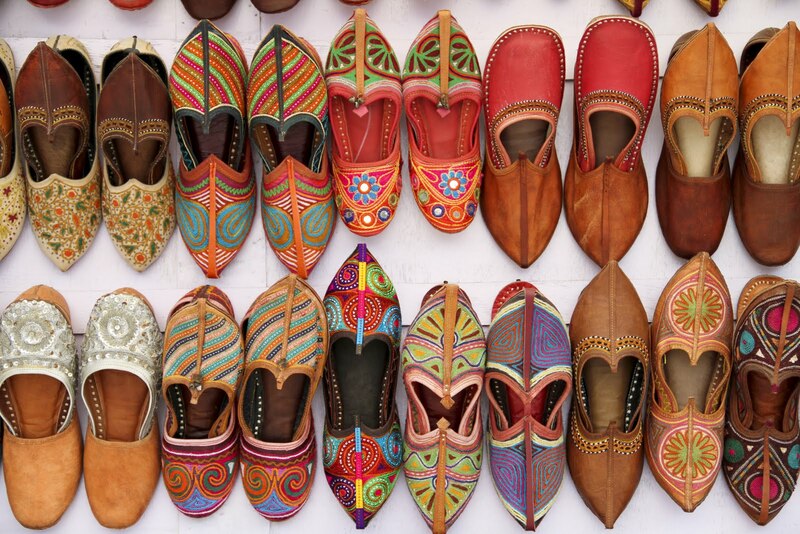 Jutti are traditional, ethnic Indian footwear, mostly popular in the north. Easily identifiable by their curled up toes and often high rise ankle pieces, they were originally designed to be worn by royalty and would have been heavily embroidered with real gold and silver threads and decorated with precious gems and pearls. 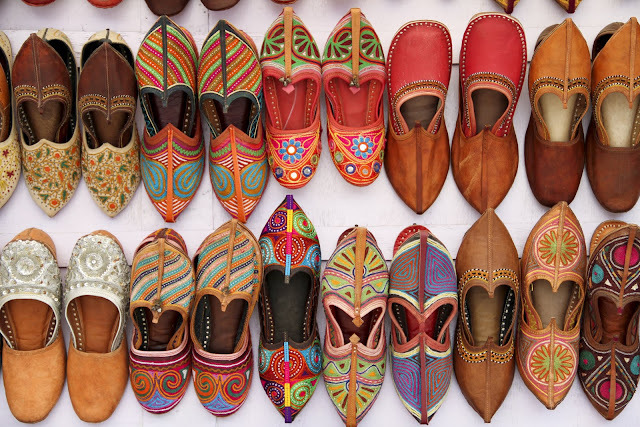 Most of the shoes pictured above are more akin to the flat backed mojari style - like sandals - a little more practical in a land where taking your shoes off at every doorway is imperative! 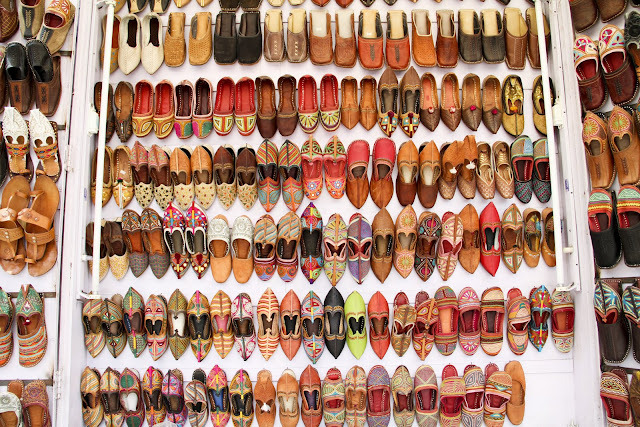 I want all of these shoes, the photography really captures the colour, detail and texture of each shoe. India is beautiful! Where can these shoes be bought?